Art’s Deli Studio City | Dish It Out! Go, for who you’ll rub elbows with. Go, for this family run deli that always pleases. 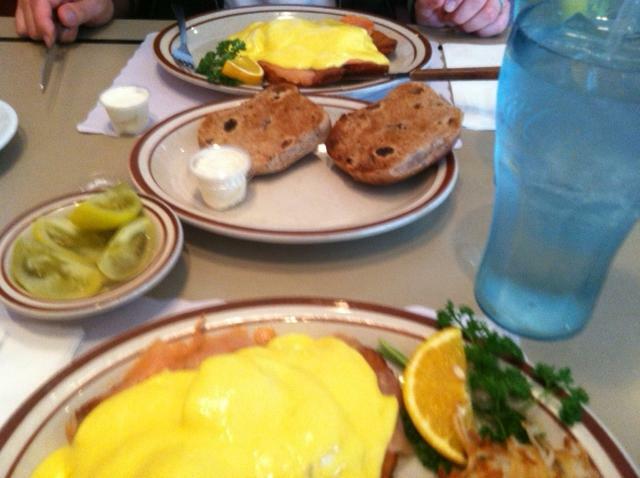 Go for Tony the waiter or even the excellent Lox Benedict. Go for the best pickled green tomatoes second to mine ( see Pickle Me… Post). Just go! Posted on March 29, 2012 by tonyspats	• This entry was posted in Uncategorized. Bookmark the permalink. to die for. we go back for again and again. again and again. join us?